I’m an EU or international student at the University of Lincoln, but I can’t see any announcements from the English Language Centre on Blackboard – what should I do? Students are normally enrolled onto the English Language Centre community page on Blackboard after taking the LELA. 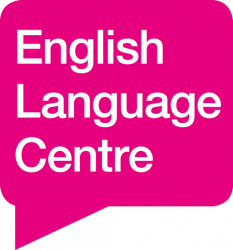 If you cannot see the ‘English Language Centre’ under ‘My Communities’, please email englishlanguage@lincoln.ac.uk, providing your full name and student number. You will then be added to the ELC Blackboard page. Please note that Blackboard may not update immediately. Blackboard usually refreshes overnight, so you should see the ELC appear in your communities list the day after your name has been added to our list. I have a question about my visa and/or my immigration status, can the English Language Centre help me? Sorry, we cannot give immigration advice. The only people who can legally give you advice about your visa are the International Advice Team at the University of Lincoln. You can find them in the Student Support Centre on the ground floor of the Minerva Building. For more information about the International Advice Team, and answers to many common questions, please visit their website. How do I register with Lincolnshire Police? Click here for a map and instructions on how to register with the Lincolnshire Police. You can also view the journey to the Police Station on the Student Support Centre website. I need to collect my Biometric Residence Permit (BRP) from the Post Office - how do I get there? First, check the address on your BRP letter. If your BRP has been delivered to the Sincil Street Post Ofice, you can find directions on the Student Support Centre website. If your BRP has been delivered to a different Post Office, ask staff in the Student Support Centre for advice on how to get there.